Yellen’s testimony will have a direct impact on U.S. interest rates which is influential for the USDJPY direction. The support rests at 112.880 with resistance at 113.830 which the weekly pivot point at 113.380 is located in between the lines. 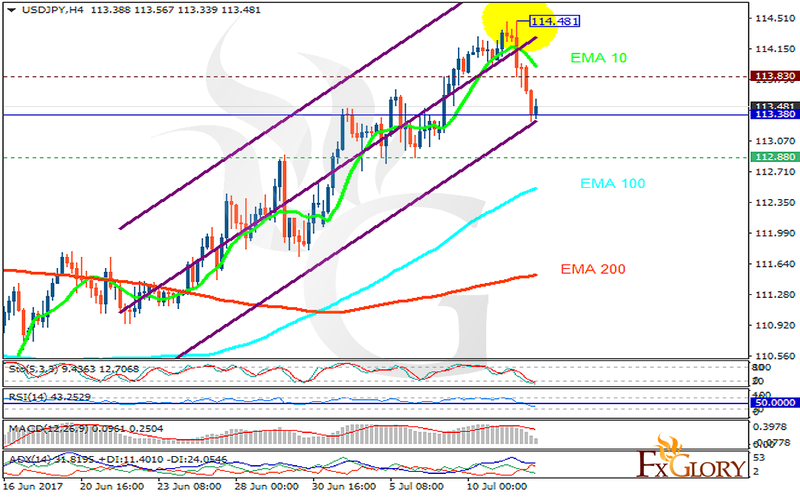 The EMA of 10 is moving with bearish bias but it is above the EMA of 100 and the EMA of 200. The RSI is falling towards the oversold area, the Stochastic is showing downward momentum and the MACD indicator is in positive territory. The ADX is showing sell signals. 112.8 support level seems to be too strong to be broken therefore long positions are recommended targeting 115 area for long term traders.